Treat your taste buds and join one of our cultural and food tasting experiences! 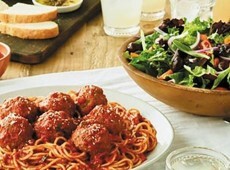 Mangia (Pronounced: Mahn-Ja) is Italian for eat, enjoy, and come together to enjoy a delicious meal. Here at Mangia DC Food Tours, we are committed to helping out-of-town visitors and fellow Washingtonians enjoy local cuisine in our nation's capital. Together, we'll experience the sights, the sounds, and most importantly, the tastes of our vibrant city's iconic neighborhoods.